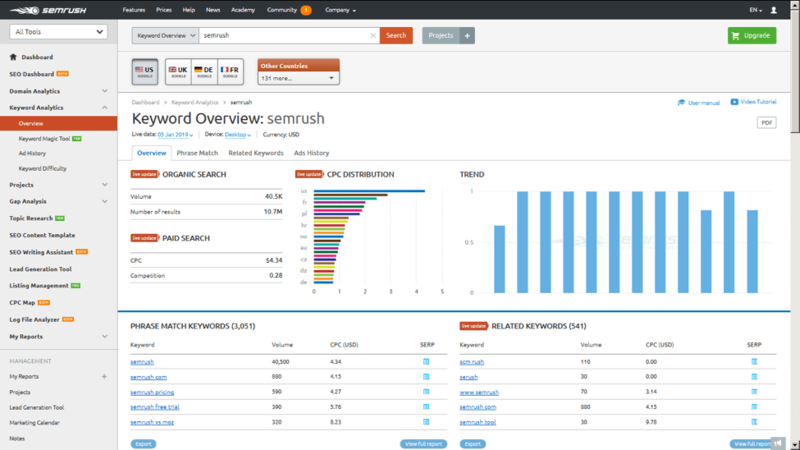 SEMRush is NOT a traffic-builder tool. But it is the tool that is going to help you build the traffic. We will definitely come to know of it. There are certainly many ways to actually build up the traffic for your blog site. But we cannot deny of the fact that some of the methods, some of the process will take hell lot of the time to actually start seeing the results. To avoid that (in most cases), better is to hire and SEO agency or the best SEO tool which is right for you. Hiring an SEO agency; you should saddle up for paying a LOT every month! SEO tool; buy it and you are good. Is it that easy? Buy and you are all good? Nope, not at all AND never at all! Buying the SEO tool is definitely the cheap but if you do not know how to operate it to get the maximum result, the investment is totally a waste and useless. So… this blog post is really for you to find the best SEO tool and how to operate it to actually grow your blog traffic. 1.1 What is the SEMRush? 2 How to use SEMRush to grow my blog traffic? Before i start, let me tell that this article is the part of my SEMRush Review series. Now we are on it. Over the real thing. And it has the process to be detailed out. So for that, we need to name the every single step of the process first to basically understand it all. Let’s go with that then. How to use SEMRush to grow my blog traffic? 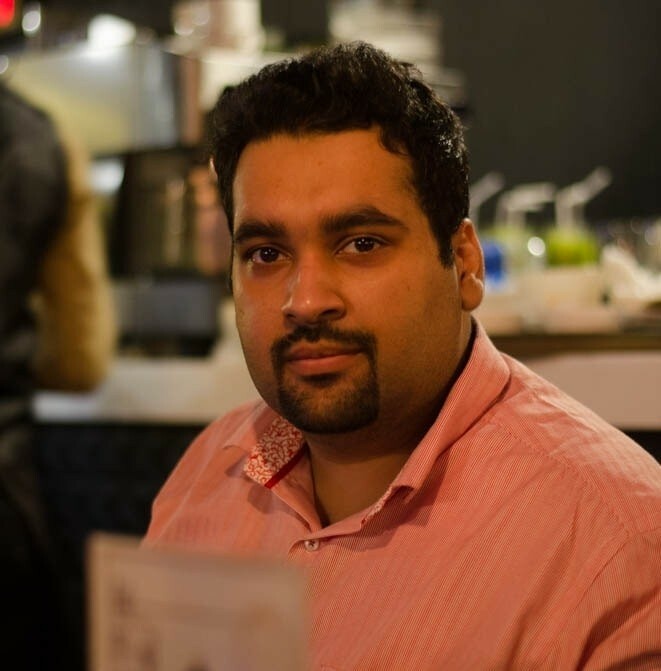 The SEO tool, SEMRush, was kicked into the world in 2008 by the handful of SEO and IT people to help in making the online competition fair and transparent for everyone. In all these years, SEMRush has been emerged as one of the best competitive research tool serving up with its best for online marketing. Well, I am not going to cover anything to get you started. Will not cover anything about the domain selecting, and picking up the niche but and because this post is for the action-takers who are into the business from sometime and operating their websites/blogs from awhile. This is the post to align your game towards the best practices that SEMRush has to offer you. So please, refrain in reading this entire post if you do not have the domain name and not yet decided your niche. – How to stand out your Niche Blog from the Competitors? Get your domain and select your niche first before jumping over to this blog post. That is the one core center of this entire post. And this is what we are after. 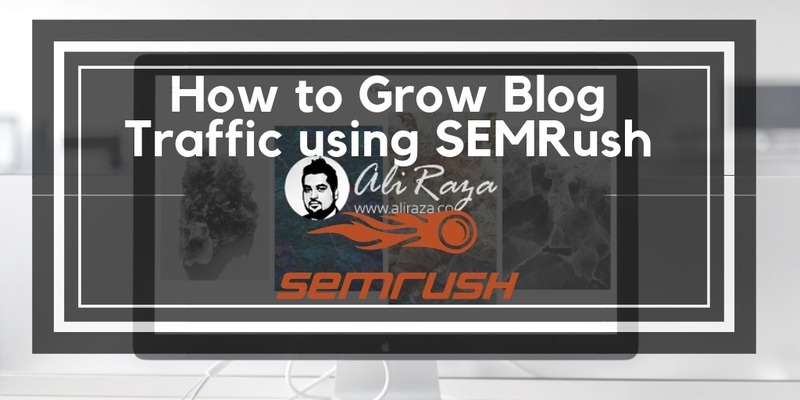 Here we are going to post-mortem (just kiddin’) all of the SEMRush features and anything that will only and only help you growing your traffic for your blog. 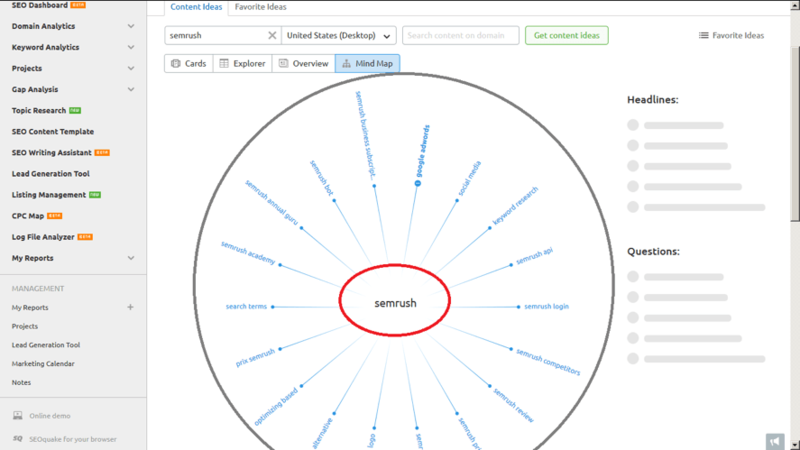 Let’s outline the feature of the SEMRush that are vital. And… That is all we want to know about what is the SEMRush, right? And for this test, I picked up my friend, Harsh Agrawal’s blog ShoutMeLoud.com, to go through this all as it is the one-old, well-managed, and the established blog from years. 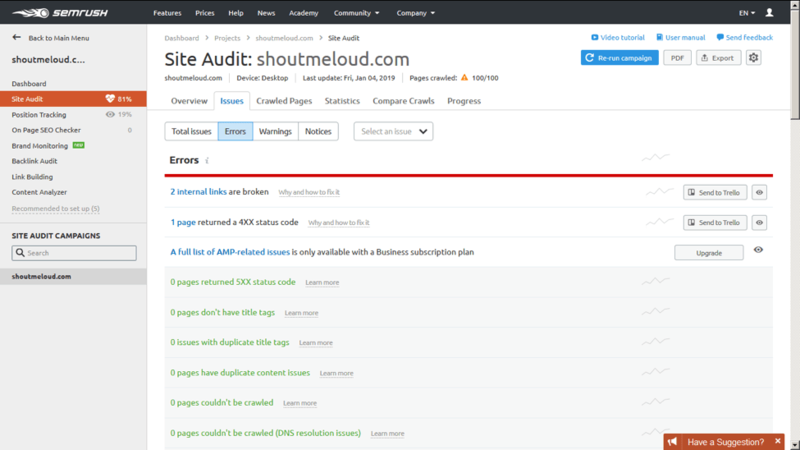 Before doing anything, what we need is the complete audit of the site. It will help us to determine how good we are doing and what we need to fix right now to solve the site’s related issues. Errors are…. the error. Real error in stopping your full visibility. 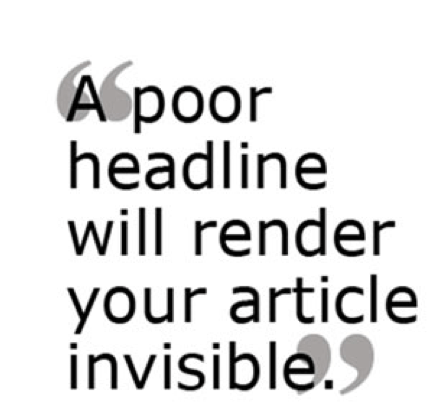 If there is just ONE error visible, it is the disaster for your blog. And what stopping your visibility in search engines, you can be missing out big on the traffic depending upon the traffic acquisition. But wait… Did you take me and my advice to only LOOK at and FIX just the “Errors”? If that is so (that you thought of), no way that I am advising you just to fix the Errors and move on. Though “Errors” are definitely highest and potential growth-stoppers for your website, “Warnings” and “Notices” are equally important to look at AND fix as well. Just click on the numbers and you will be amazed to find out all of the “Errors”, “Warnings”, and the “Notices” that which pages/URLs are queuing up inside them. You able to make the 100 percent in the total score, you are definitely the higher-receiver of the search engines’ love. And if search engines start to love you, you are blasted with big wide chunk of the daily traffic which is so ready to help your blog to grow. By the way, though I am using the free SEMRush account for this demonstration and hence it is limited to crawl only 100 pages/URLs. 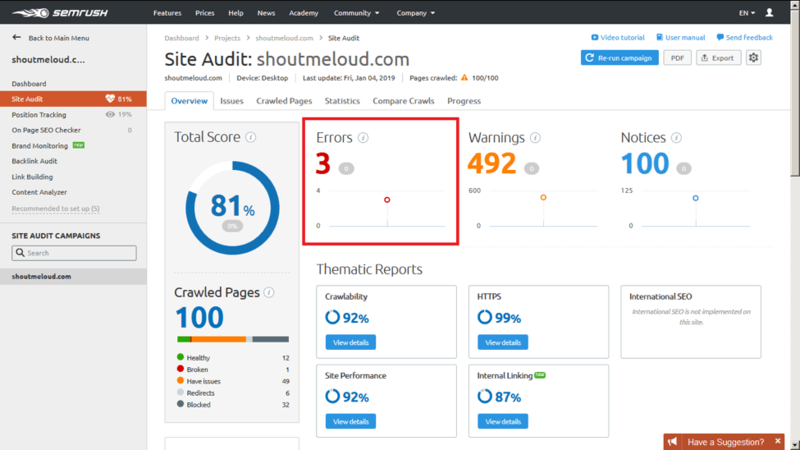 To be able to allow SEMRush to crawl the whole site, and every inch of it, just buy it fast and find every single of the issues your blog could be facing. This is how and mostly will look alike when you click on “Errors” tab. Can we deny the fact SEMRush does not hold the best of the market’s information at its side? Then we can definitely trust them to find, locate, and bring the best topics at our brain’s doorstep, right? 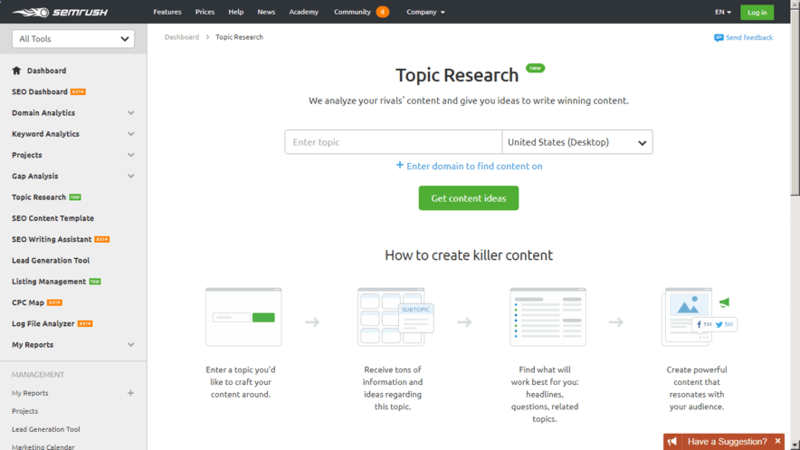 So for that, SEMRush has one of the exciting feature called Topic Research. We need content every time. Readers need new content to consume on our blogs. So why miss finding the great content by the best SEMRush who does a very hard work at the backend to read, analyze, and suggest the awesome content ideas to write, and present to our readers the best and the awesome pieces of the content that are always beneficial for their purposes. So we need to really trust on SEMRush for that! This is how the SEMRush “Topic Research” looks. Oh well… The tagline is superb to read, nope? Topic Research is not itself going to recommend you the next topic but you are to provide the idea first and then it will do its magic, and the wonders. For the mere example, let me go with “SEMRush” as the topic to try. You see the red circle? That is our main keyword/general word to grab the topic ideas for. And SEMRush did its magic to bring up some best topic ideas. This view is jotting all of these into “Mind Map” to make it easy to look at and understand. Click on any of the connecting words that are into grey-colored circle. Then you will be able to see the ideas being generated into the right sidebar. Headlines-related topics are lined up in the form of high to low based on the number of backlinks recorded by SEMRush. Just hover the mouse over the loudspeaker icon and you will come to know of the resonance with the audience. The higher is the number of the backlinks, that makes it to the more-competitive content which is little bit hard to break through for the new blog. Such topic ideas are shown in the format of the questions. And the questions are made in the way of “What”, “Which”, “How”, and “Is”. You pick one question-based topic and you are good to go. 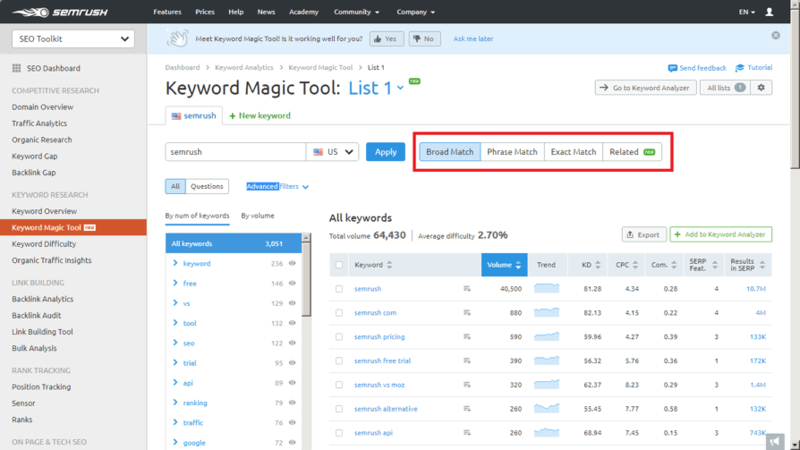 Related searches are counted when your main keyword/general word is being search all around the SEMRush website. If any of the search term you find interesting for yourself, just do not waste a second of the time and start writing over it. And require not much of the clarifications as they are almost the same in the structure. Still we have to write for the humans but machines are there to help in sending and blasting our written content to the more eyeballs. Let’s just fulfill most of the requirements the machines require but not just write for the machines in its entirety. But a thought could be slightly kicking in your sense that why I put the “Keyword Research” step just after the “Topic Research”? Well, if I tell you to decide for yourself as to which step you want to do first, either it is Keyword Research first and then proceed with Topic Research. If you feel good to find your keyword first, get it and then do the topic research based on that keyword to jot it down together to actually create an awesome topic for your next blog post. Page that shows Keyword Research. And that is how the page is looking alike tearing down “SEMRush” as the searched keyword. 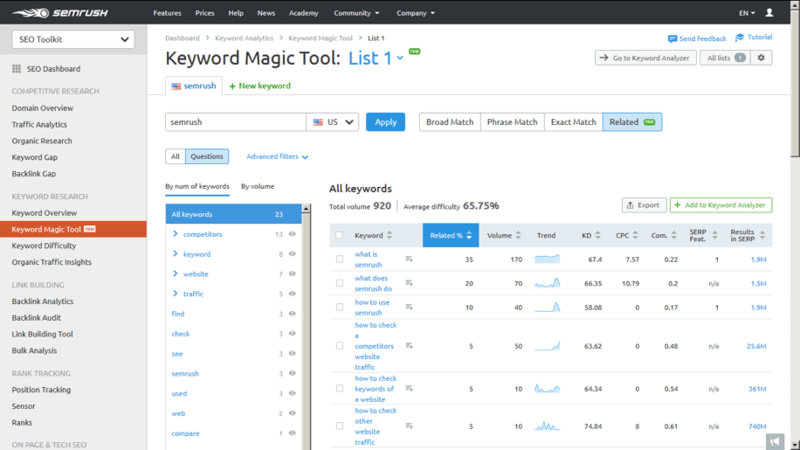 By default, you will land on the “Keyword Overview” page. By the way, we are looking at the searches and everything that are Organic and nothing Paid. We are splitting this whole keyword research’s game into the three steps. The average number will be different for other countries. Number of results: It indicates the total number of the URLs that are considered as being ranked for the given (searched) keyword. This graphical demonstration shows that how popular is your keyword on the search engines. And it is recorded when the searchers are set to search for that search query(ies) up on the search engines. 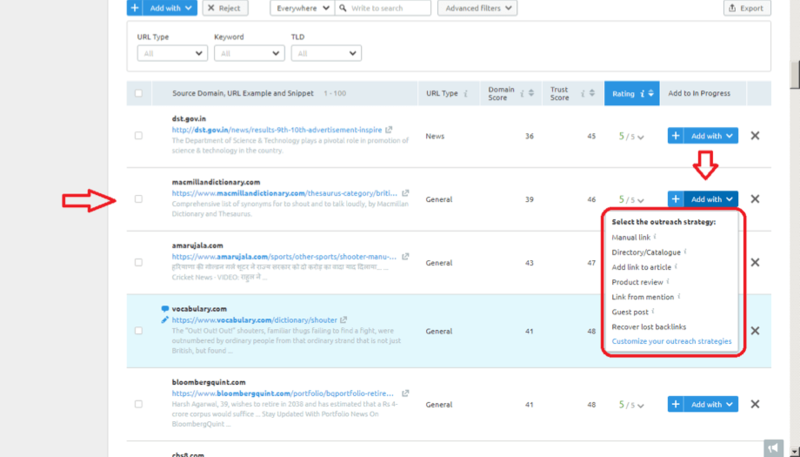 It is again from the national level due to we set to collect the keyword’s data for U.S.
As I said earlier, the keyword research will land you on the “Overview” tab, but you have two other tabs as well to select from. 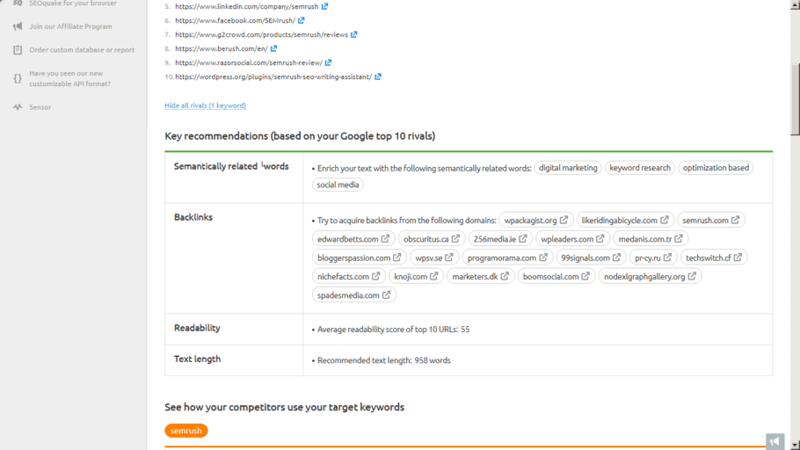 Now we are to hunt for the keyword to do all of the work given that we have our primary keyword which is “SEMRush” at the moment. So unde the Broad Match tab and we are seeing “All” for the keywords, we are being presented with the variety of the keywords that are hitting the number to 60K+. You may reach to the another type of the keywords based on their volume by pressing on the button of the “By Volume”. And want the question-backed keywords, you can certainly have it by just pressing the “Questions” view. That is how “Questions” view is shown to you. The keyword numbers are squeezed to 1K+ from the straight 60K+. This view is best worked to grab the long-tail keywords due to being the questions-based classification of the keywords. 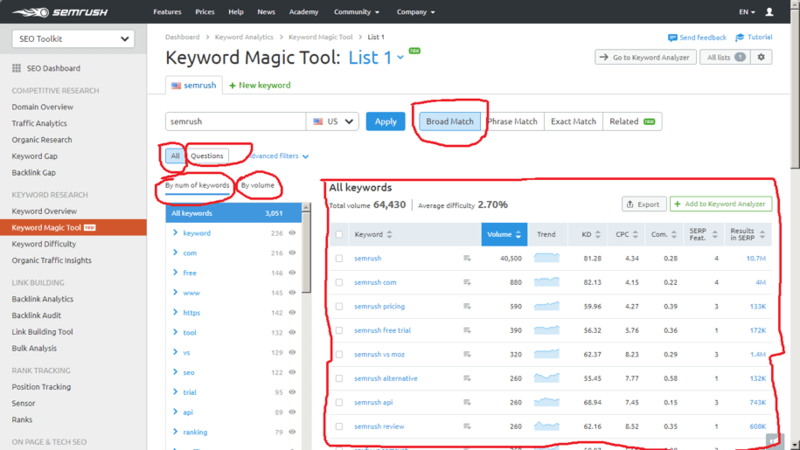 Phrase Match and Exact Match have the similar set of the keywords shown as per your seed/main keyword in the phrase and the exact matched order. Yeah, this view is different from all three other views which are Broad Match, Phrase Match, and Exact Match. Here you are to target for the least competitive keywords, and that means. Lower keyword difficulty with volume in high number. 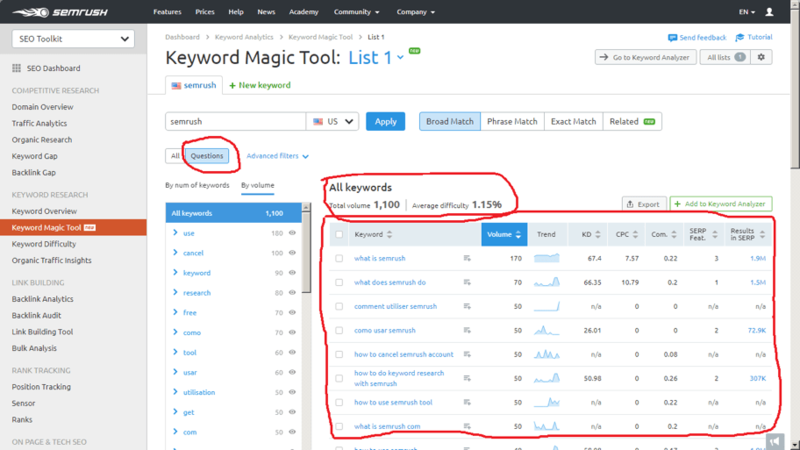 If you have one-word long keyword or two-words long, you will experience the high volume numbers. 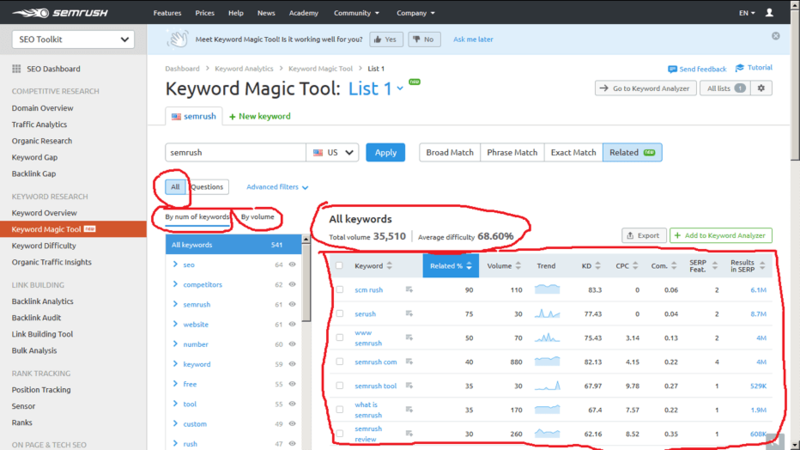 The more words you add in your keyword, the better it will be to get lower number in the volume, and will be more easy to rank for search keyword. 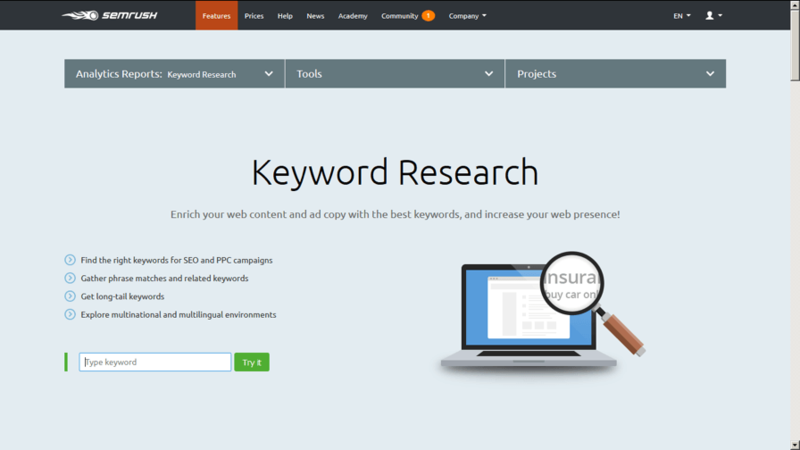 Related post: 20+ Experts Reveal Best Keyword Research Tool! 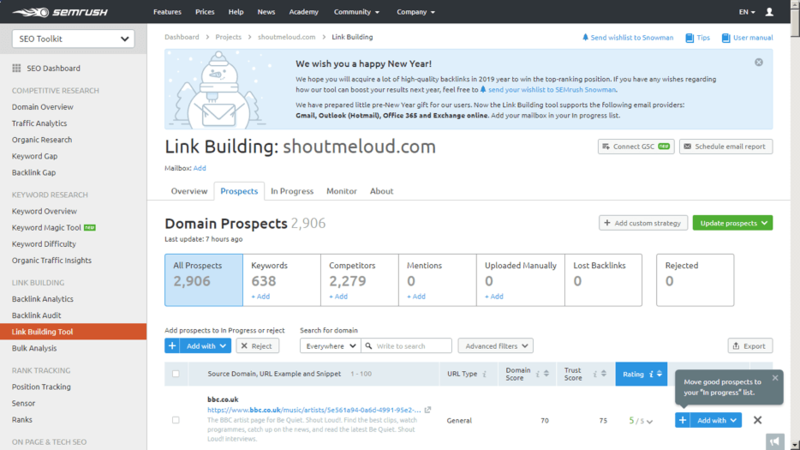 The entirely the link building tool. Having the established blog means you would have made the links in the past. So what it is effective for, to locate where we LOST the links and the links are in BROKEN form. 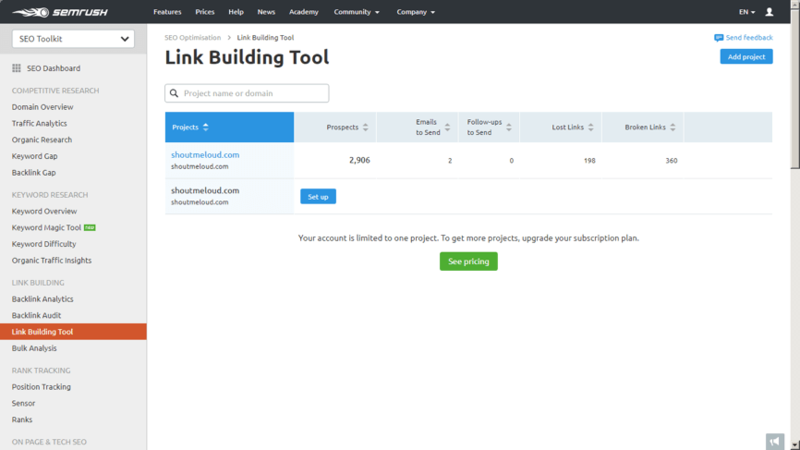 This is how the “Link Building Tool” will look alike on your end. If these are showing any kind of the numbers to you, get ready to minimize them. Because these will get you the active links which you once had. That is how the “Prospects” view will be shown to you. Well, Prospects is going to help you finding the best-matched websites as per your searched keyword. And it takes the websites to be listed as the “Prospects” by analyzing the organic search, your competitors’ made backlinks, manually uploaded the links by you, mentions, and lost to rejected links. They are your golden eggs to hunt for the potential prospect-turned-into-backlink. Sorf them by using filters of URL, Keyword, and TLD. You able to get a backlink out of them, you rock! Found your potential and interested prospect for you? Click on “Add with” and get that site up as per your intention regarding that prospect. And then it will be stored (actually moved) into “In Progress” for you to take the desired action, i.e. proceed with the outreach strategy. Beware that you have to take ACTION to get the result and this Link Building Tool is not going to do anything for you to win a backlink but your actions will. SEO Writing Assistant is nothing but the add-ons, the pretty add-ons. And comes for Google Chrome and can be installed over your WordPress blog so that you are able to write as per the accordance to SEO, and that too in the real-time. Writing the content and fulfilling all the SEO requirements will so help your content to get maximum advantage of the search engines. Man!! That is powerful!. I mean Super powerful. You search for the keyword and it will analyze it given the first 10 results shown on Google search. I searched for “SEMRush” and it got me these. You do it this way, and you are super good at writing the best piece of the content. 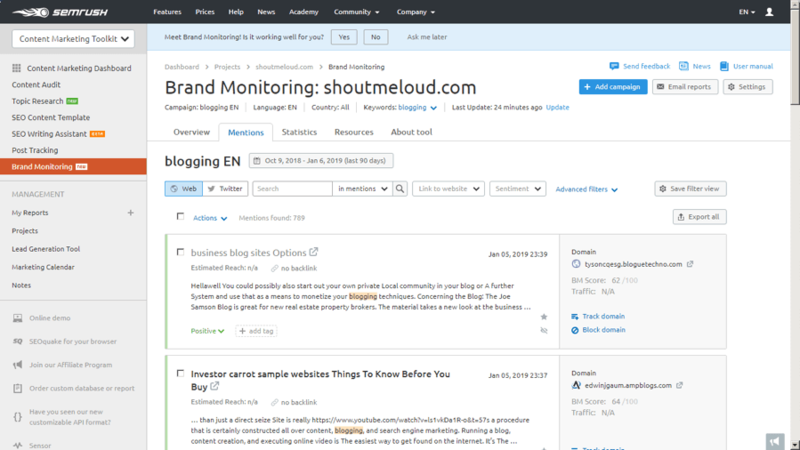 Brand Monitoring, we are to explore and use it to hunt for the potential websites to go for the backlinks. The “Web” tab is selected and you can see many of the posts there. So hunt for the Positive and Neutral websites with good BM score, estimated reach, traffic. It has about the same procedure; your keyword mentioned in the tweets and those tweets are highly-closer to your blog. So it should be the best of the strategy to be in touch with those tweeters to gain more eyeballs off the social media’s powerful site, called Twitter. What did you learn from the Site Audit? What did you learn from the Topic Research? Keyword Research; how informative it was to you? 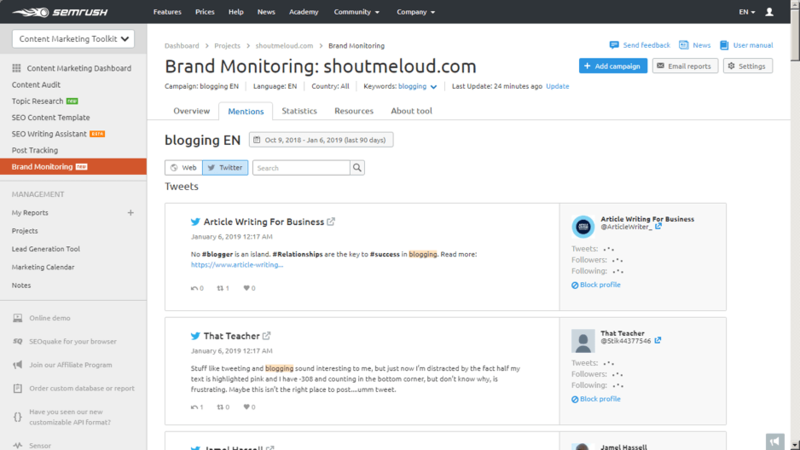 What about the Link Building Tool? How it went for you? 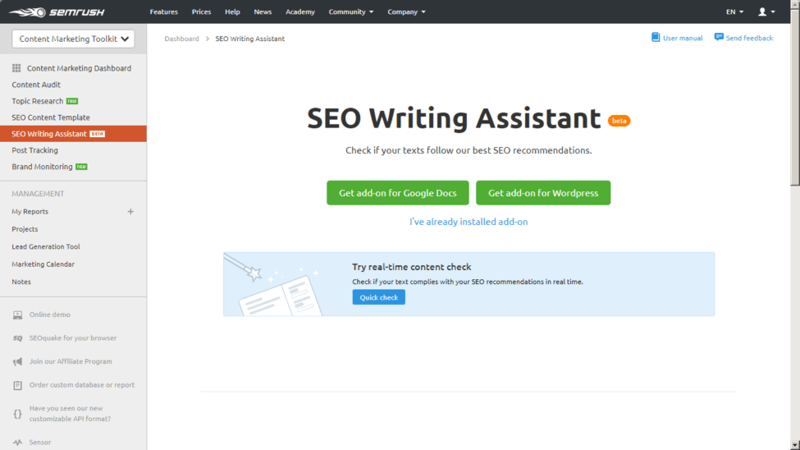 SEO Writing Assistant; something new, right? How did you find the SEO Content Template thing? 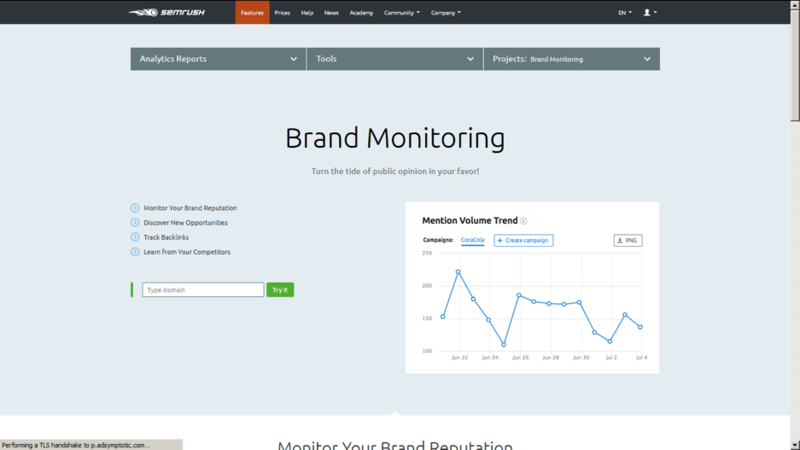 Brand Monitoring; was not it so cool to track our brand, nope? How good (or bad) you found this overall blog post covering some brilliant and efficient features of the great SEMRush? 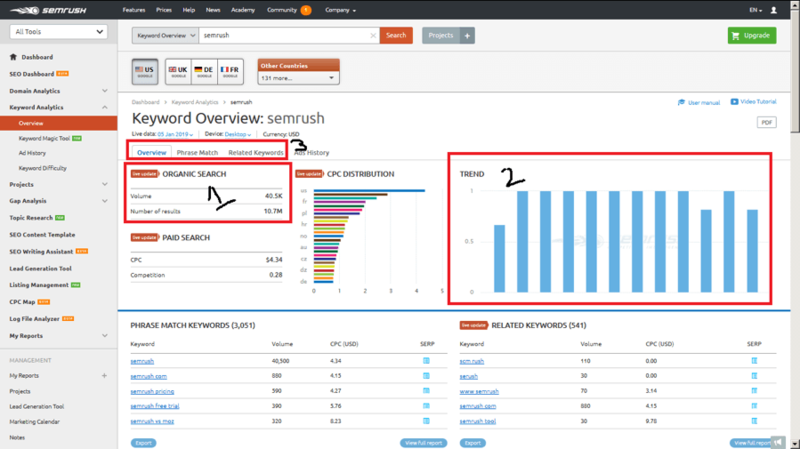 Without any or the single inch of an doubt, SEMRush is the one brilliant tool! Let’s share everything and anything about this blog post in the comments. Nice article i hope it is very helpful to me.